Taste the flavours of fresh tomatoes green and black olives. Crushed garlic and whole capers for a taste sensation to add to your pasta, pizza or soup. 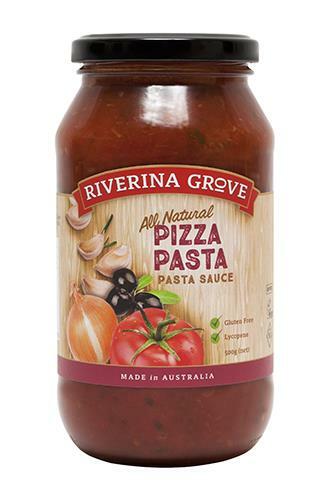 MADE WITH AUSTRALIAN TOMATOES GROWN IN THE RIVERINA REGION.